On Mariah Smith's wrist is a bracelet that reads "F*** ISIS" in all capital letters. It was a gift she received during a memorial at the U.S. 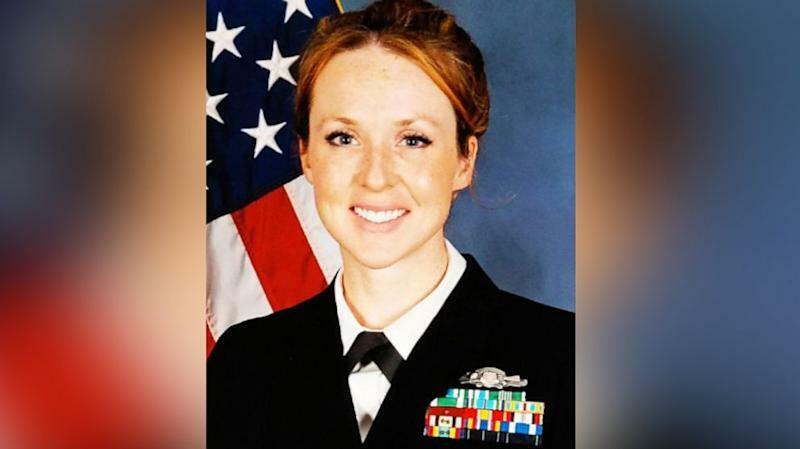 Naval Academy to honor her sister, Senior Chief Petty Officer Shannon M. Kent, one of four Americans killed in an Islamic State suicide attack at a restaurant in northern Syria on Jan. 16 -- the deadliest day for U.S. forces since entering the country in 2015. "I think you need this more than me right now," Kent's Navy teammate told Mariah as he handed her the bracelet. 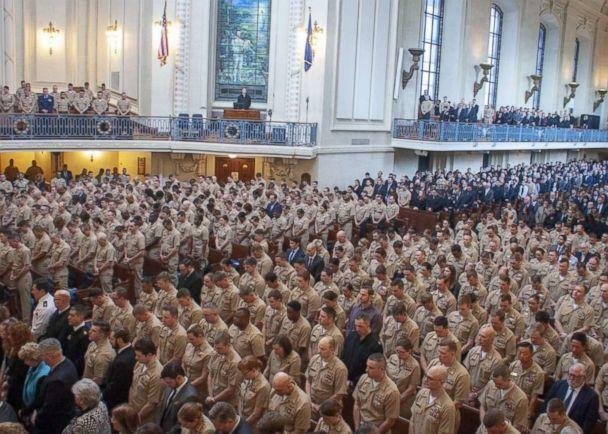 More than a thousand people crowded into the Annapolis, Maryland, chapel that day to honor Kent, who served as a Navy cryptologic technician, collecting valuable information for special operations missions. The 35-year-old from upstate New York was a master of languages and intelligence collection, a wife and mother of two, a cancer survivor, marathon runner, Congressional lobbyist and a deeply patriotic warrior with a passion for serving her country. On Monday, she was laid to rest at Arlington National Cemetery. Her life and legacy, Smith said, will live on for a very long time. Kent's decision to enlist in the military was fueled by the events of Sept. 11, 2001. Both her father, a colonel with New York State police, and uncle, a New York City fireman, were among the first responders to the attacks, and her family instilled a deep respect for professions of service. She chose the Navy for its linguist program. Kent had a passion for languages from a young age, even dropping her lunch period in high school so she could take both Spanish and French. Once in the Navy, she learned several more languages including four dialects of Arabic. Her language skills made her a valuable asset for Special Operations Forces, including Navy SEAL teams that she deployed with in Iraq and Afghanistan. As a chief cryptologic technician, part of Kent's job was talking to locals in order gain intelligence that would shape how missions were conducted. Adam Elliott, who served three combat tours in Iraq with Kent, said she was, at first, a surprising person to find embedded with the elite teams. "Everybody there ... were these gruff-looking, thousand-yard-stare dudes — Navy SOF guys. Then you got this little petite, red hair, blue eyes…just in the middle of all this, all these guys, not hesitating to get in there and get dirty," Adam told ABC News. Kent could throw a male teammate on her back in one try, he said. But her toughness always came with a smile. "Shannon was a perfect mix of humility and pride, professionalism and goofiness. If she was wearing a smile, there's no way in hell you weren't wearing one too," he said. "She was the only one who had an actual rapport with the Iraqis that she was dealing with," Adam said, adding, "there would be a lot of laughing, a lot of jokes." In her spare time, Kent would make mosaics for the local women out of whatever she could find. Mariah said that art supplies were some of the only items Kent requested in care packages from home. "She cared so much about all the Iraqis she met and all the Afghans she met ..." Mariah said. "She always had such a fire for that." But with four combat tours to Iraq and Afghanistan already under her belt and two young children at home, Kent did not plan to deploy to Syria. She had completed her bachelor's and master's degrees while on active duty and had been accepted to a Navy Ph.D. program in clinical psychology which she wanted to pursue in order to work with veterans suffering from post-traumatic stress disorder. The program required her to commission as a Navy officer. 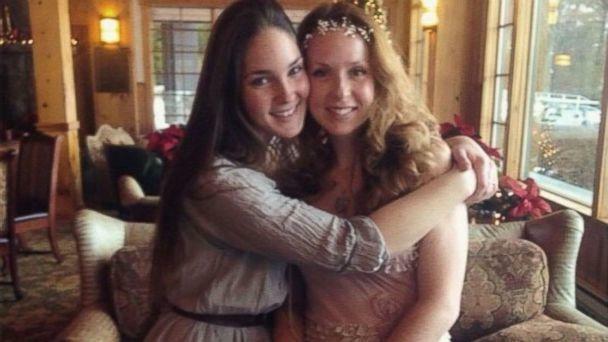 But during that process, she failed the medical exam because she had been diagnosed with -- and beaten -- thyroid cancer. She requested a waiver from the Navy but was denied. So Kent began lobbying Congress to change that waiver process so that qualified enlisted sailors could commission as officers. In the meantime, the Navy requested she go to Syria in late 2018, a deployment she accepted, but did not have to take. 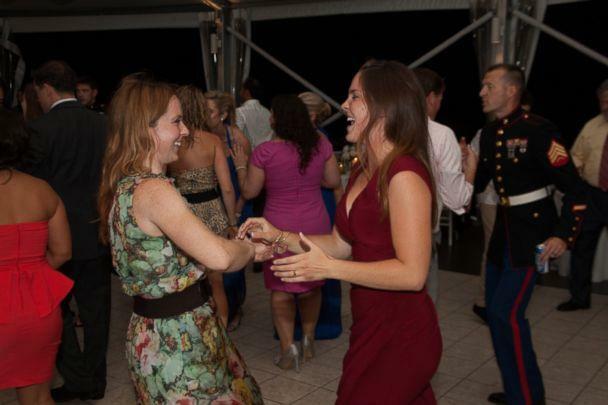 "She didn't want to not deploy because she also wanted people to respect and understand that she was a warrior, and there was nothing that was going to hold her back from the mission, even though her family is more important," Mariah said, adding, "She still had a duty." "Shannon needs to feel like she's making a difference, feel like she's contributing," Adam said of her decision to deploy to Syria. "It didn't matter how much she gave, it was never enough." Kent decided to continue going through the waiver process from Syria in the hopes that she could gain her commission as an officer and enter the PhD program upon her return to America. She was killed in Manbij, Syria less than two months later. 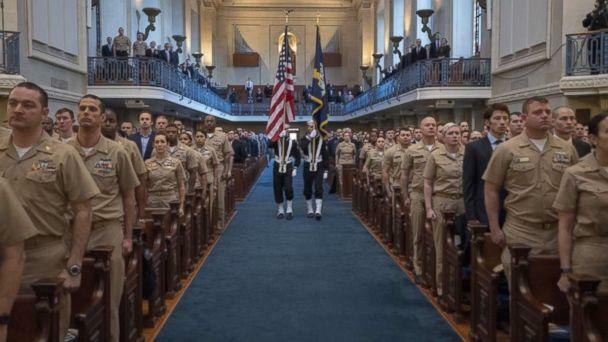 Since her death, the Navy has instituted a new policy that the vice chief of Naval operations said will "improve the quality, fairness, and consistency of the medical waiver process for all enlisted to officer commissioning programs." Mariah said that when she found out about Kent's death she immediately knew she would move near her brother-in-law, Joe, and young nephews. "I need to be there for those babies, and I need to be there for Joe," she said. After graduating from college, Mariah had stayed with Kent for a year after the birth of her first child while Joe, a former Green Beret, was deployed. But this move will be different. "I'm going to do the best I can, but I'm not the same as her," Mariah said about helping to take care of her nephews. 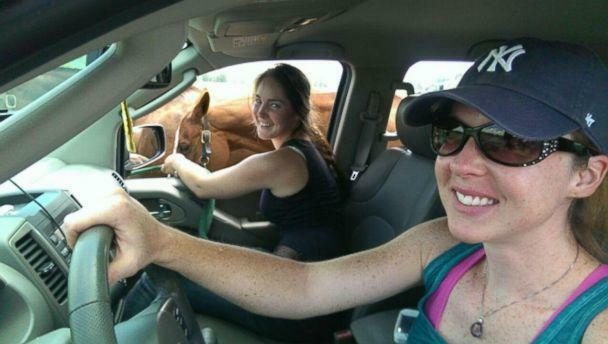 One thing she is hoping to do is bring to life the sisters' long time dream: a horse therapy farm for children and veterans suffering from PTSD. 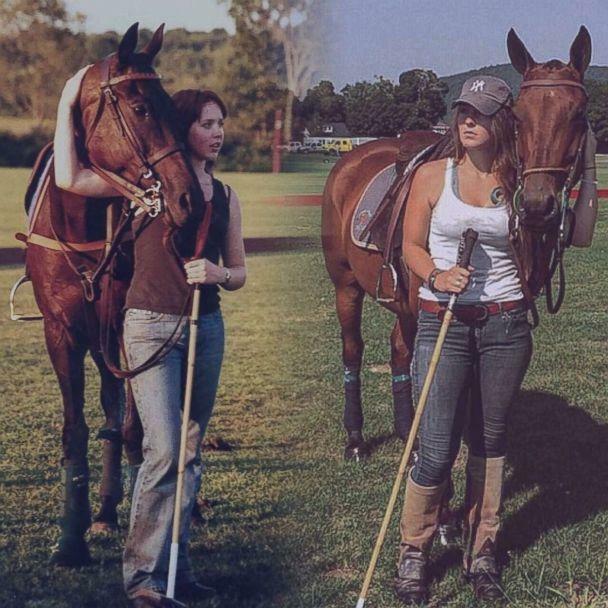 The sisters grew up loving horses and polo and always dreamed of living on a horse farm together. But as their lives unfolded, they increasingly became determined to use that farm to help others. Mariah had worked with girls with psychiatric disorders and also with young men with autism. While Kent was deployed, Mariah said they would talk about the farm -- something they could accomplish together, fusing both of their passions. "She was always my idol, my biggest supporter and best friend," Mariah said. ABC News' Ryan Amelio contributed to this report.